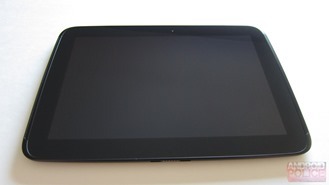 Despite the storm that rocked NYC, three days ago Google took the wraps off the latest addition to the Nexus tablet family: the Nexus 10. I've been playing with the N10 for the past 24 hours (give or take) and instead of waiting several days to post a full review, I want to share my first impressions with you. While the N10's claim to fame is undoubtedly its (amazing) 2,560 x 1,600 display, let's first talk about the build quality and overall form factor. 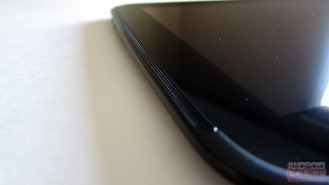 Like the Nexus 4, the front of the device is a solid black slate - no branding whatsoever. To either side of the display you'll find a pair of speakers that run alongside the bezel, and extend the entire height of the screen. They're subtle and blend in quite well - they also sound fantastic (for tablet speakers, of course). 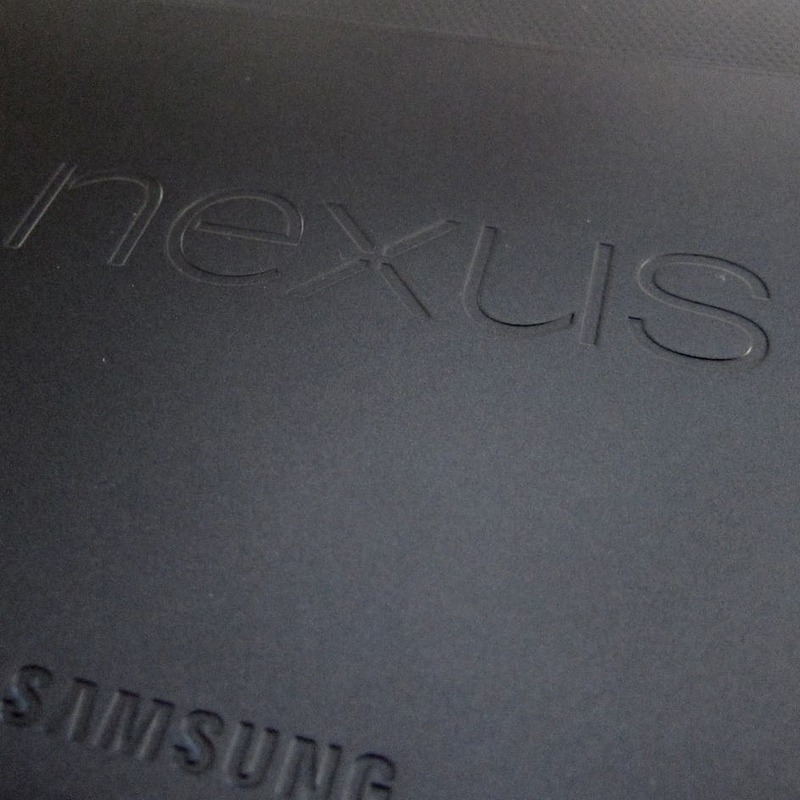 The back of the device is covered in a soft, tacky, rubber-like material - it almost feels like leather. The same was said for the Nexus 7's back, but rings true even more for the N10. The outside edges curve upwards ever so slightly, which makes it feel great in your hands. Really, really great, actually. The grippiness of the back also helps make it more manageable with one hand, as you don't have to hold it as tightly as other tablets. It just "sticks." 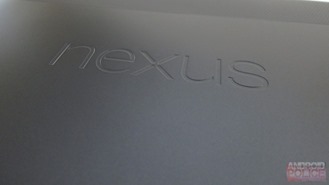 In the center of the back is a large "Nexus" logo that I absolutely love. It's sort of etched into the back (just like on the Nexus 7), as is the Samsung logo down below. Along the top is the 5MP camera, which is surrounded by a plastic piece that looks and feels identical to the back of the Nexus 7. On the right side of this piece is a little notch that allows it to be detached from the device. Once removed, you'll find two magnets (one on each end), presumably for accessories, like the cover seen in this video. The plastic cover is very securely held in place by tabs and has no play in it at all when it's completely locked in. Around the sides you'll find all the normal stuff: power, volume, microHDMI, microUSB, a 3.5mm headphone jack, and, along the bottom, a dock adapter with Pogo pins. All standard fare there. 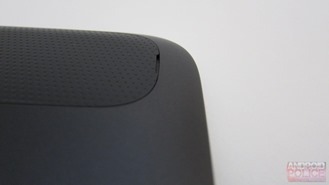 The overall build quality screams just that: quality. It's very well put together. 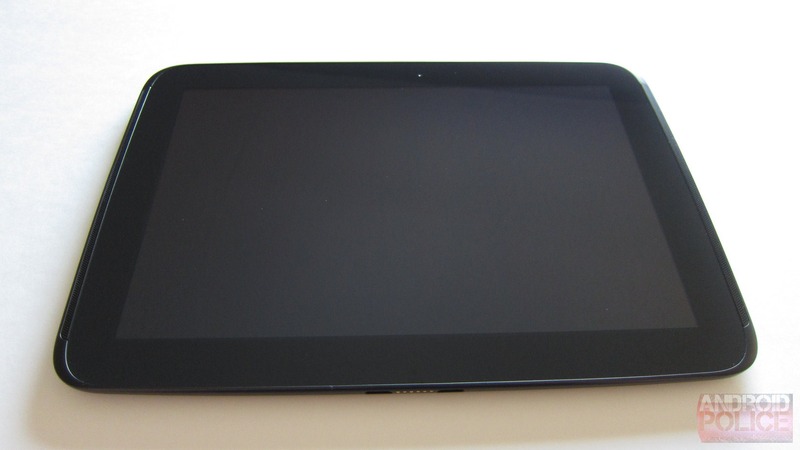 It's undeniable that Google is extremely meticulous about how Nexus devices are constructed, and the Nexus 10 is a perfect example of that. It's solid. Now it's time to talk about the display. This is easily above and beyond any tablet display out there, bar none. It's by far the sharpest thing I've ever seen on a mobile device. I don't think I can quite put into words how crystal clear everything on this screen is - magazines are comparable to print editions, the text on books is impeccable. Icons are beautiful. Surfing the web looks better than ever before. To put it mildly, everything looks better on this tablet. Once you see this display, you'll never be able to look at a 1280x800 display on a 10" device the same way. Or at all. Ever again. It's that good. Click the image and right click > open in new tab to get a better idea of how massive the resolution really is. Then there's the software. 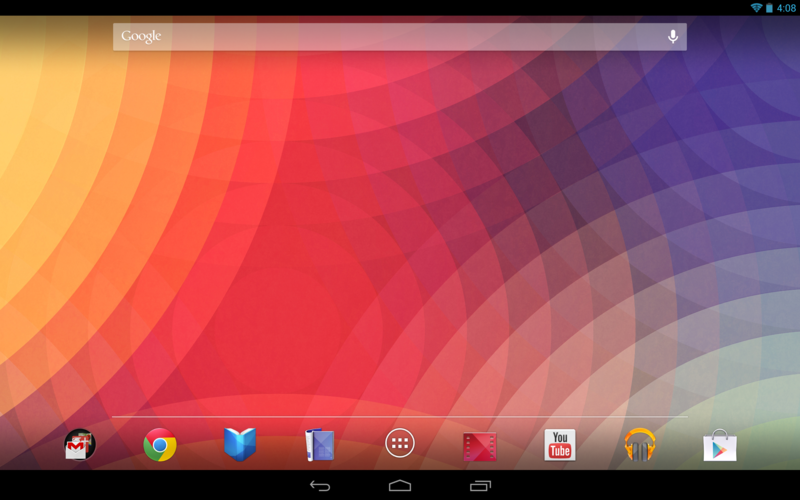 Since the N10 uses the same hybrid UI as the Nexus 7, there are a lot of questions about its usefulness. I'm not going to lie: I found myself tapping the top right corner to go to apps on several occasions, so there's definitely an adjustment period. The center buttons make a huge different here, and they're just as cumbersome as you'd expect on a 10" display. They're much easier to use in portrait mode, but this device is clearly designed to be used in landscape. To reach the center buttons with your thumbs, though, is a bit of stretch. Then again, I have pretty small hands, so it may not be as difficult for someone with larger hands. Now, do I consider that a deal breaker? Not in the slightest. I only point it out because it's very different than what I'm used to on a 10" tablet. Basically, expect an adjustment period if you're coming from a different 10" device. Muscle memory will have you tapping on areas where nothing exists, so just be prepared for that. Thankfully, it's only mildly frustrating at worst. In a nutshell, my first impression of the Nexus 10 is an overall positive one. I am absolutely in love with the display - it just makes everything look better. Great, even. 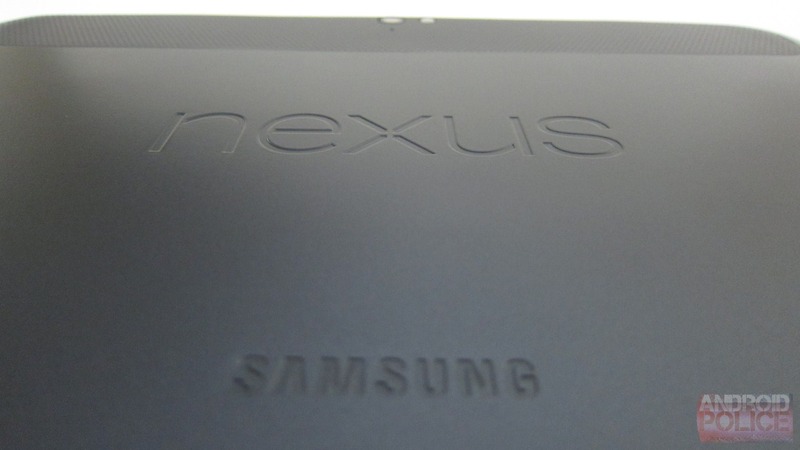 The build quality is top-notch, and will become the benchmark for future 10" devices. To get build quality this rock solid at a price starting at $400 is unprecedented, because nothing has been sacrificed here. That's all you get for today. Expect more Nexus 10 fun in the coming days. If you have any questions about the N10, fire away in the comments - I'll do my best to answer them as time allows.